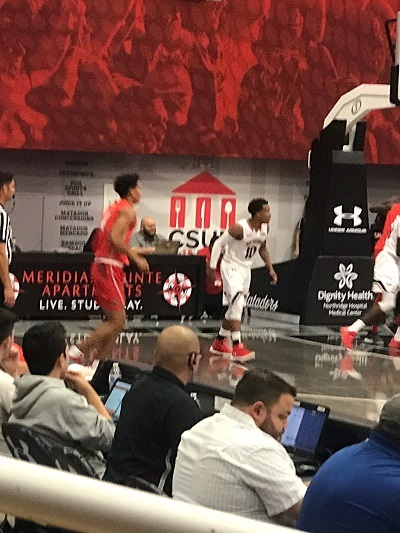 Two of the most elite Pasadena area basketball players began their collegiate careers against the other Tuesday night. 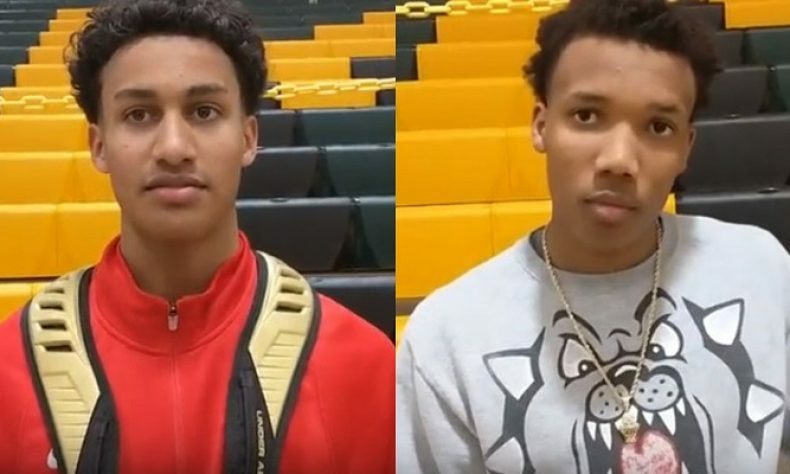 Pasadena point guard Darius Brown II and forward Tavian Percy led the Bulldogs to the Pacific League championship, and a CIF finals and CIF State appearance in 2017. Well after the season was over, DBII committed to Cal State Northridge and Percy took a trip to Albuquerque and signed on the dotted line shortly thereafter to attend and compete for the University of New Mexico. The PHS basketball program is a very tight-knit group that holds itself to the highest standards in both their play and the way in which they conduct themselves, much like the St. Francis football and Maranatha baseball programs. So, how special must it have been to have two of coach Tony Brooks’ kids open their college careers against the other? New Mexico came out to California and earned an 87-84 nonconference victory. After a first-half stalemate (42-42), the Lobos withstood the Matadors, and start the season 1-0. Percy played two minutes and had one assist to his name, but Percy was able to leave the court with a smile after a season-opening victory. DBII saw 15 minutes of action Tuesday. The Northridge freshman made a pair of 3-point baskets and finished with 6 points, a pair of assists and three steals in his impressive college debut. Brooks was on hand, along with many others to see two of his program’s best ambassadors in action. If that wasn’t cool enough for the longtime PHS coach, he has the possibility of seeing Percy face off with our two-time Pasadena Sports Now Basketball Player of the Year, Bryce Hamilton. Percy and the Lobos will host UNLV on January 8 in a Mountain West Conference match up. And then two weeks later, Hamilton and the Running Rebels will welcome New Mexico to Las Vegas.